Real Solutions to Homelessness in Douglas County - Hughes-Ray Company Inc. Sanctuary Village is a new development designed to provide housing to people currently living in tents in the woods. 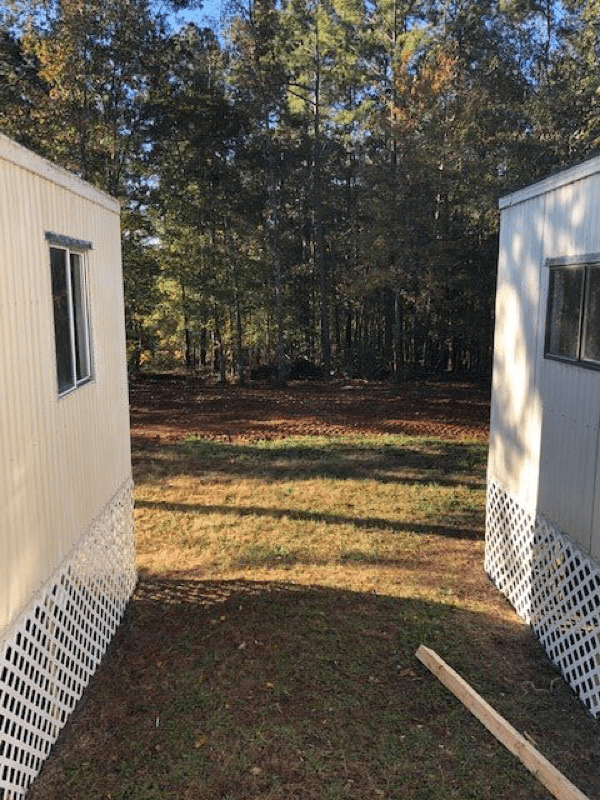 The project converts donated double-wide trailers located at the landfill into efficiency apartments, providing a haven to those in need. Hughes-Ray Company is committed not only to helping our clients be successful, but to making the places we live better. That’s why our team provides professional services on a pro-bono basis in ways that give back to the communities we serve. To help the residents of Sanctuary Village attain self-sufficiency, they are required to participate in case management, mental health and addiction treatment as needed. For more information, visit the Sanctuary Village, Douglas County Facebook page. 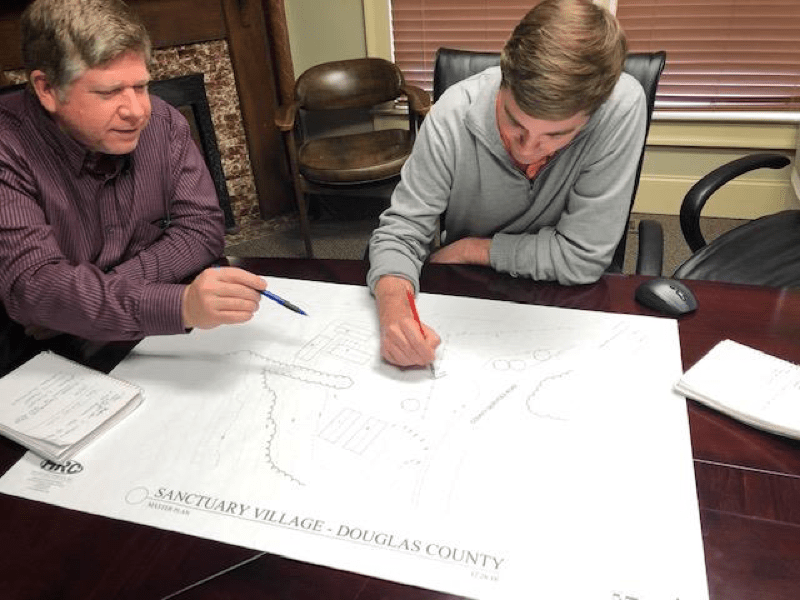 The first two homes are in place at Sanctuary Village, with more to be located and renovated in the new community designed to address homelessness in Douglas County.